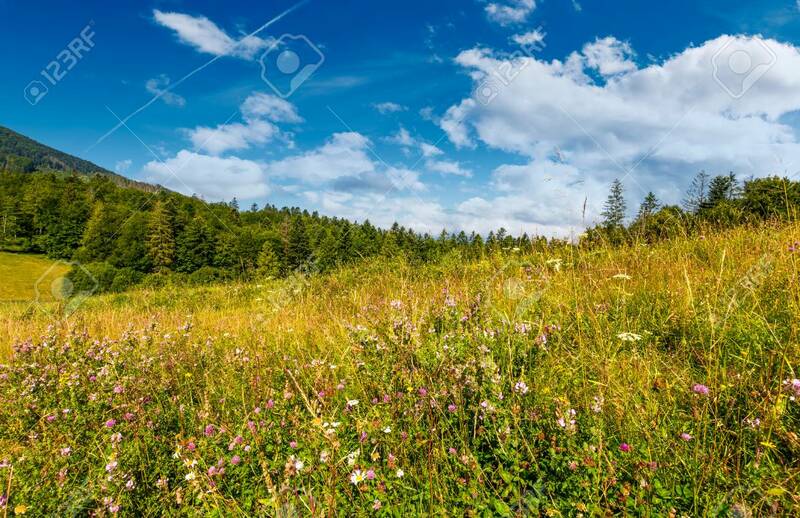 Grassy Meadow With Wild Herbs Near The Forest. Beautiful Nature.. Stock Photo, Picture And Royalty Free Image. Image 92645716.